No Llama – no Drama. Or in this case: a Llama – no dust. It doesn’t sound so nice, but it’s true. Because with this Llama feather duster you declare war on the dust in your surroundings! Yes, it’s not a non-plus-ultra-super-trendy gadget that was presented at IFA 2018, but in my eyes it has that certain something extra. Probably it’s the cute little eyes or the cuddly soft pink fur. Who can resist that? 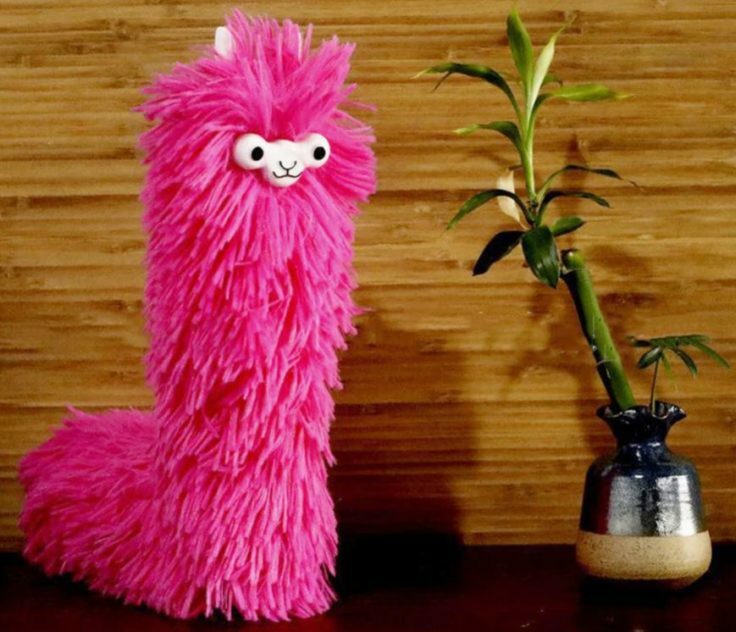 The Llama feather duster can be bent at will and hopefully gets to every dusty corner. Especially with its “extended” length of about 38 cm. Bent in half by 90°, you can even put the Llama on four little legs and leave it on your desk as a cool decoration. Once the workplace is dusty again, all you need is one grasp and a sweeping swish from your wrist and the view of the screen is clear again. You are sure to be envied by your colleagues at work and they will certainly ask you to take the Llama out more often.